Our leading goal is to achieve a complete customer’s satisfaction with the cleaning services we offer, having also a “Loyalty Program” and many benefits for all our friends, who decided to entrust the cleaning of their homes in our hands. Our company Tenancy Clean offers wide variety of cleaning services in London, tailor made to meet all the requirement and cleaning expectations of our customers. 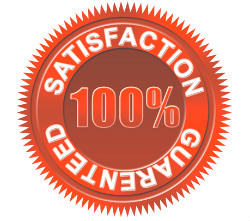 We are handling with care and accuracy every service, form the smallest cleaning job, up to the most major project. We are able to offer you cleaning services on weekly, by-weekly or monthly bases or even just once in a while when the need for this occurs. Among our services are different options, but the speciality is End of Tenancy Cleaning Services. In order to be a helping hand for our customers at any time and any occasion, we work 7 days a week, including Bank Holidays, covering services even with short notice. If you would like to find more about our services or to book a cleaner with us, feel free to give us a ring! End of tenancy cleaning is not an easy task, so just leave it to our professional local cleaners. They will take care of everything on best prices, most competitive in North London. Our tenancy cleaning services in North West London will meet your expectations. We hire reliable people that have rich experience and can answer any questions that you may have. They come from good background, so you can go wherever you want while they are performing the tenancy cleaning. 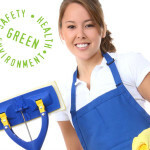 We use eco-friendly detergents and methods to offer you best quality cleaning in SW London on good prices. You will be impressed by the result and satisfied by the price. Ending your tenancy agreement in West London? We will take care of the tenancy cleaning. You can use the contact form on TenancyClean.co.uk or just give us a call to get in touch with us for booking and more information about our services. 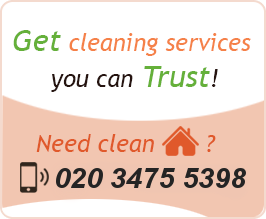 Tenancy Clean is offering you the best tenancy cleaning services in London. You can always count on our trustworthy professional cleaning team, working every day, weekends included.